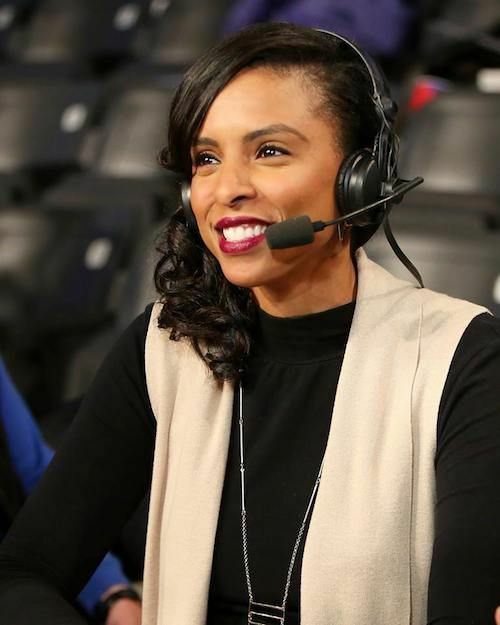 Robinson returns to ESPN for her eighth season covering women’s college basketball starting with the UConn-DePaul game on Dec. 8. 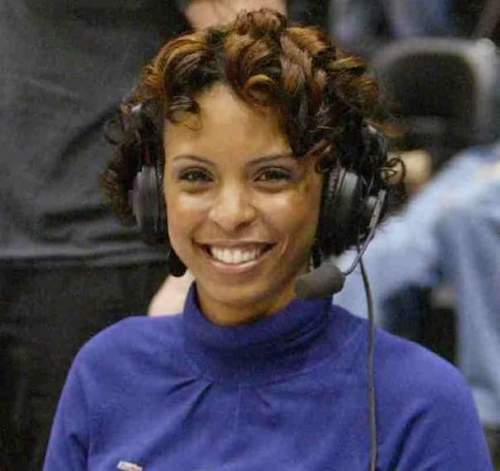 She also hosts espnW’s “Around the Rim” podcast and provides color commentary for the WNBA’s Atlanta Dream. Robinson lives in Atlanta when she’s not traveling around the country covering women’s basketball games or speaking at NCAA leadership and development forums. She also has her own consulting business called Stretch Beyond, which works with athletic departments to help student-athletes focus on career, community and character development. A native of Alexandria, Virginia, Robinson was raised by her mom, a single parent. She was a 6’ tall cheerleader in middle school. (She’s 6’ 4” now.) She started playing basketball in high school after a coach convinced her mother that basketball could be her ticket to college. She was a four-year starting center at Wake Forest and finished her career third in school history in blocked shots and 15th in rebounds. She was named to the ACC All-Freshman team her first year and to the Academic All-ACC team her senior year. Off the court, she majored in sociology and found mentors in former sociology professors Angela Hattery and Earl Smith. She still remembers the formative night she spent with Hattery and classmates in a Winston-Salem homeless shelter. After graduating, Robinson landed an internship at the ACC office in Greensboro before heading to Georgia Tech, where she served in administrative roles with the women’s basketball team. She picked up a microphone for the first time when she filled in as a radio analyst for the Yellow Jackets, and she was hooked. 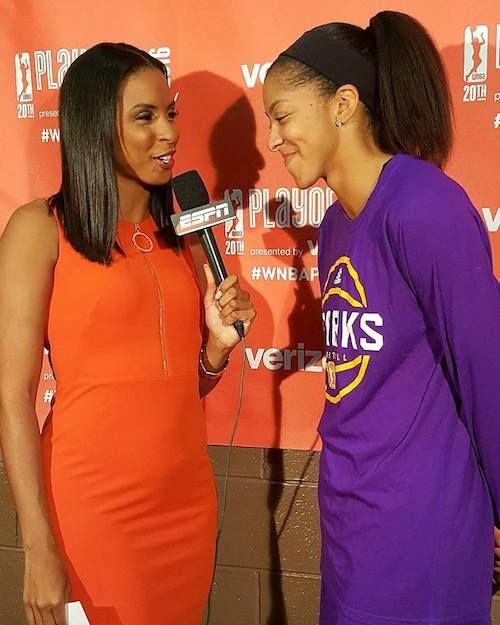 She got her television break when she scored an interview with Thornton, who was then coordinating producer for women’s basketball at ESPN and, as it turned out, a fellow Deacon. Robinson and Thornton, a former student worker in Wake Forest’s Sports Information Office, bonded over sports and Wake Forest. Robinson early in her broadcasting career. Robinson’s rise up the broadcasting ranks is somewhat unusual. She wasn’t a well-known athlete, and she didn’t play at a powerhouse school or for a famous coach. But what she lacked in name recognition, she’s made up for with hard work and preparation. She remembers sleeping in her car one night, because she couldn’t afford a hotel room, to attend the SEC’s media day early in her career.